Celebrate Twice this New Year’s Eve! Double the cheers this coming New Year’s Eve—celebrate by ringing in 2013 twice! Mexico Beach welcomes patrons to stay at the beach this New Year’s Eve and enjoy the holiday in two different time zones for an unforgettable experience. Celebrate Safe-Celebrate Twice will take place December 31, 2012, and everyone is invited to join in the festivities in both Port St. Joe (Eastern time zone) and Mexico Beach (Central time zone). A free shuttle service will carry New Year’s Eve patrons responsibly to area hot spots. 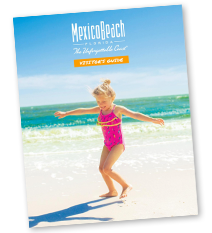 Kick off the celebration in Port St. Joe in the Eastern time zone, then hop on a shuttle and come back to Mexico Beach in the Central time zone, where you can do it all over again! While ringing in the New Year, be sure to watch for the two fireworks shows that will light up the night sky. Port St. Joe will display its show at 10 p.m. Eastern Standard Time, and Mexico Beach will conclude its celebrations by commemorating the New Year with its fireworks show at midnight Central Standard Time. Mexico Beach will have shuttles busing patrons to many great establishments including Toucan’s Restaurant, El Governor Motel, Mango Marley’s, and Fish House Restaurant. It will also be stopping at Lookout Lounge, situated on the county line between the two towns. Port St. Joe’s the Thirsty Goat and the Haughty Heron are just a couple of the exciting locations perfect for visiting during your New Year’s Eve night out! The shuttle route and stops will be posted at Mexico-Beach.com—simply locate the New Year’s Eve Celebrate Twice event under the calendar of events tab. Shuttles will be open to patrons 21 years of age and older after 10 p.m. Welcome the New Year twice here in beautiful Mexico Beach! For accommodations and more information on this event, as well as other upcoming events, click here.